Many of us have fond memories of large piles of presents and we want our children to have great holiday memories, too. The thing is, it’s okay if their holidays don’t include so much stuff. Young children, especially, don’t have expectations like we do. A few carefully chosen, nice quality gifts will make them just as happy as you were as a kid. You know that nagging feeling you sometimes have that their toys are taking over the house? It’s totally okay to give them less. Another idea to consider is to give the gift of experiences. This works really well for adults and older children, but can be used with younger children as well. Tickets to an event, movie passes, or a gift certificate (trampoline park, art open studio time, mini golf) will always be appreciated. As a bonus, the recipient can often enjoy these experiences with someone they love. You likely already have traditions, either from your own childhood or that your family has developed over the years. Creating rituals creates memories, and a deep sense of love and celebration that won’t soon be forgotten. Looking for some ideas? We’ve got some! Have a collection of holiday books. Keep them packed away in a closet most of the year, but this time of year they can be placed in a nice basket in your living room, with a new one added each year. Find a way for your family to give back to the community. Older children can volunteer at a soup kitchen, but even younger children can help bake cookies to take to local firefighters. If you live in an area where there is a homeless population, you might work as a family to create care packages: small bags filled with food and other items that might be useful. They can be kept in your car to give to people as you meet them, or they can be dropped off at a local shelter or similar organization. Bake cookies. Or cook or bake something else that’s special to your family. Time spent together in the kitchen is so special, plus you’ll be sharing important skills with your kids. Make decorations. With a little guidance, even a six-year-old can string together popcorn and cranberries. Enjoy storytelling. Every culture, religion, and family have tales to tell. Gather around a fireplace, candlelight, or just cozy up on the couch and tell stories. Folktales, myths, and family history are all great! Are you looking for specific places to buy gifts? Try supporting small local businesses - they often have items that are hard to find anywhere else. As a bonus you will be supporting your local economy and helping your neighbors! 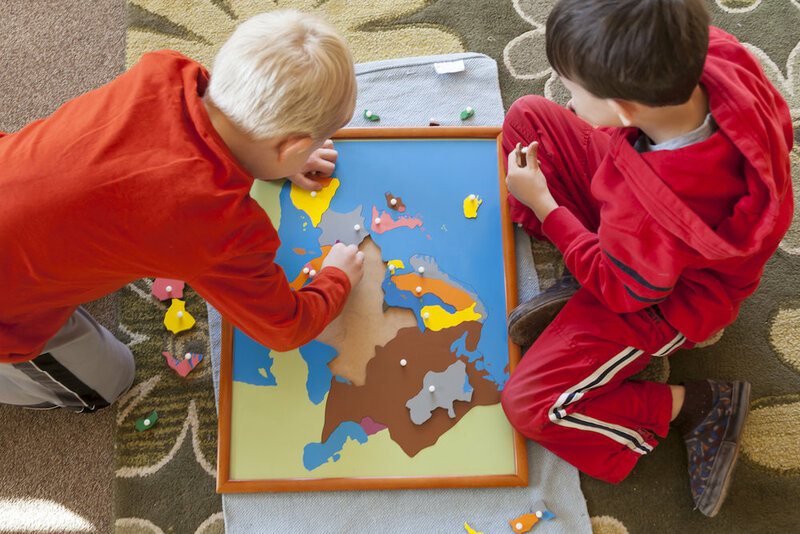 This company provides high-quality products with Montessori families specifically in mind. If you’re looking for nature and outdoor learning gifts, look no further! This website caters to teachers, but many of the learning materials would be just as appreciated at home. With a focus on real wood and natural fibers, this Vermont-based toy company is a Montessori parent’s dream.